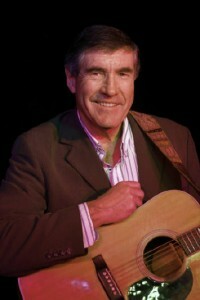 Ray Duffy, the surviving brother of the well known “Duffy Brothers” has had a life time of performing. Playing Guitar & Banjo, Ray & his brother Leo started performing Irish music in the local folk clubs around Peterborough in the early 70’s. Like so many other young folkie’s, the sound track to the film Bonnie & Clyde featuring Earl Scrugg’s “Foggy mountain break down” was a defining moment. It was this act that brought them national recognition in the form of Awards, TV & Radio shows, national major venue tours. The Brothers were voted “Top British Country Duo” in the International Country Music awards no less than 7 years running. It was this success that brought them to the attention of Tammy Wynette, Charley Pride, Johnny Cash, Ricky Skaggs and a host of other American Country Music Stars. For five years the brothers lived in America, opening shows across the country. With their award winning act & “Tight Music” they were sought after by Show promoters & Fair organisers to go out and warm the crowds up, crowds often numbering Twenty thousand or more. They were invited onto the “Grand Ole Opry” no less than 3 times including the 60th Anniversary show. They were a favourite with the Nashville TV chat shows and indeed had their own Half hour TV special aired on the Nashville network. It had always been the intention for the brothers to move back to England and take up the Careers they had left ten years before. Although still performing their comedy act from time to time the brothers formed a Bluegrass band called the “Bluegrass Brothers” who gained national prominence. Ray himself has had a steady stream of work putting Banjo on Film sound tracks, playing Banjo on Records and recording Radio & TV shows. One of the more recent TV recordings was with “Robbie Williams” on Sky TV. Time was called on the “Duffy Brothers” in 2013 with the sudden death of Leo. So, for Ray, it seemed a comfortable step to join the Down County Boys when they were in need of a guitarist.